New Jersey is one of only a handful of states that currently offer legal state regulated online gambling options. New Jersey may not have been the first state to legalize online gambling and offer state regulated gambling options, but at this point in the game, they are considered the state that has been the most successful thus far. Unlike Nevada which has launched only online poker, NJ has included online poker, online sports betting, and online casino gambling in their platform. This allows a much larger player base to participate since the options are not limited to poker alone. New Jersey did follow the same general structure that Nevada did, running all online initiatives through existing brick and mortar destinations. This makes sure the online venue does not cannibalize the existing gambling industry already present in New Jersey, which was necessary to expand the state's revenue rather than harm businesses that already contribute. The Garden State is serving as a model to other states that are in the process of bringing the option forward in their own territories, such as California, Florida and Pennsylvania. While many industry professionals feel that Governor Christie has far overshot his predictions when it comes to just how much additional revenue the state can expect from their online gambling industry, there is no denying that it will provide a healthy boost to the economy in New Jersey and the state's coffers. From among the three states that have already legalized online gambling at the time of this writing, New Jersey has seen the most return for their efforts. They are also the most ambitious of the three states. In January 2011, NJ Senate Bill No. 490 was passed by the state legislature, and it legalized online gambling by players who are located within the state's borders and were at least 21 years of age. This first version of the bill was vetoed by Governor Christie. The bill was revised and later introduced again, and passed overwhelmingly in February 2013. This version met with Governor Christie's approval and he subsequently signed the bill into law, officially legalizing online casino and poker gambling for NJ state residents and visitors. Players who are physically located in NJ can legally participate in state based online gambling from their computer or mobile device. Location is verified with GPS software embedded in the online gambling site interface. In 2012 New Jersey passed legislation which legalized sports betting for NJ bettors. This law was challenged through a lawsuit filed by a group of major league and collegiate sports organizations, including the NFL, NBA, MLB, NHL and NCAA. The US District Court Judge Michael A Shipp ruled in favor of the sporting leagues and determined that NJ could not legally offer sports betting options. NJ appealed the ruling to a higher court, and in June of 2017, the Supreme Court agreed to hear the arguments of the case. On May 14th, 2018 the Supreme Court ruled in favor of New Jersey and the reign of PASPA was struck down overnight. On June 14th, 2018 the first legal domestic sports bet was made in NJ at Monmouth Park. Domestic sports betting will be limited to the racetracks and Atlantic City casinos. State-wide online sports betting is expected to launch in August 2018. Additional options for NJ gamblers include the legal casinos and poker rooms that are located outside of the US, and are regulated and licensed by governing jurisdictions that have already legalized online gambling for their respective territories. Because these sites are regulated by genuine government bodies, they are subject to strict oversight, as well as regular auditing of their RNG technology and fair gaming practices. This ensures that they always provide compliance certified and fair gaming options. It is the same type of regulation that state based gambling sites are subject to. We provide access to these legal gambling sites through the links found on this page. 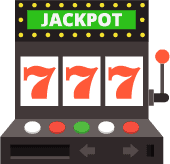 Each brand has been vetted by our team of professionals to ensure they are a legally operating gambling site that provide the highest quality gambling experience possible. There are no US gambling laws which prohibit NJ players from participating in legally licensed online gambling sites which are regulated by a legitimate governing jurisdiction located outside of the USA. New Jersey Legal Gambling Age: Players in New Jersey who wish to participate in land based or virtual gambling must be at least 21 years of age. Those players who wish to participate in online gambling licensed by the state of NJ must also be physically located within the state's borders. Is Online Betting Legal In NJ? As mentioned above, online gambling is 100% legal in New Jersey. They are one of only a handful of states that offer any state regulated gambling options as of 2018. Betonline is one of the premier legal sports betting websites that cater to New Jersey residents. They offer players a host of betting options all under one roof including a top notch sports betting platform which includes mobile betting, world class casino games including 3d interactive games, a very popular poker site and many other options. Betonline is legally licensed, extremely reputable and has been catering to all USA players since 2004. There are also a handful of licensed and certified legal online casinos located outside of the US that accept players from NJ. These sites are plentiful, and our team of review specialists has carefully executed our review process to ensure that only the leading options are included in this guide. These sites are legally licensed, compliance certified, and dedicated to player satisfaction. At least one member of our team is a licensed player at each of these sites as we would never recommend a brand that we ourselves are not willing to spend our money at. They offer a high quality gaming experience that provides a secure environment, a US friendly banking suite, and a substantial gaming menu. Their performance is consistent and reliable, and offers a feature rich experience. While these casinos are not a part of the state licensed options, they are each legally licensed and certified operations that deliver a secure and high end performance. They are each considered to be top rated gambling sites and are among the most trusted casinos on the Web. Now that brick-and-mortar sports betting is legal in the Garden State, legalization efforts can focus on the online component of betting. The Federal Wire Act prohibits US-based online sportsbooks from accepting bets across state lines or from overseas. New Jersey has found a clever way around this federal ban by only offering online sports betting to NJ residents and visitors physically located within state lines. Online sports betting in New Jersey is expected to launch in August of 2018. Update: sports betting online and on mobile is now available. Looking for some great alternatives available to NJ and US bettors? A number of legitimately licensed and certified online sportsbooks exist that we consider very reputable and industry leaders. These brands have built a trusted reputation over their years of service and offer a wide range of betting lines and wagering options for bettors to participate in. Licensed offshore sports betting sites that are legally regulated by a legitimate governing jurisdiction can legally offer their services to bettors in the United States and other parts of the world. New Jersey is now allowed to offer single-game wagering options after the US Supreme Court ruled in their favor in the sports betting case. SCOTUS decided that PASPA, the federal ban on sports betting, is unconstitutional in forcing states to not have any type of regulated betting. As a result, the death of Paspa law has finally arrived. This frees up New Jersey and 45 other states to pass legislation implementing legal sports gambling options. New Jersey has already passed sports betting laws, but since the repeal, other states including New York, Pennsylvania, West Virginia, Delaware, Connecticut, and Rhode Island have all passed sports betting legislation as well. Numerous US states are expected to follow suit. New Jersey offers several state licensed online poker options available to players as a part of their original online gambling initiative launched in 2013. These sites offer premium online poker gaming options that include popular games, sophisticated software and a feature rich interface for a realistic poker gaming experience. New Jersey's online poker offerings have achieved a strong player base in a short period of time and we expect to see further expansion with this venue with more and more state sanctioned poker rooms becoming available to players. As they emerge, we will proceed with a thorough review of each of them and will include the ones which meet our requirements here in this guide. In addition to the state licensed options, there are also a number of legally licensed and regulated online poker sites located outside of the USA which accept players from NJ and the US in general. These sites have been providing services to US players for years, and are subject to the same type of strict regulatory oversight that the US based options are. We have personally vetted each of the options you see listed on this page, and can vouch for their legitimacy and value to the industry. Does state licensed online gambling make it illegal for me to participate at legal offshore gambling sites? Absolutely not. The state based gambling sites in NJ simply expand the options that players in NJ have for enjoying online casino and poker gambling. There are no state laws prohibiting players from participating in legally licensed gambling sites located outside of the United States, however state legislatures are in hopes that NJ players will choose to play at the state sanctioned brands instead. When will New Jersey launch online sports betting? New Jersey offers online sports betting as of the time of this writing. Several mobile betting apps are available to use within New Jersey's borders. Is There Legal Brick-And-Mortar Sports Betting In New Jersey? Yes. Sports betting is now legal in New Jersey thanks to the Supreme Court repealing PASPA. You can expect land=based betting options in some of their racetrack casino locations sometime in the summer. Where Can I Find Secure And Trustworthy Gambling Sites That Accept NJ Players? This guide provides a refined listing of the industry's leading online gambling options available to NJ players. We have personally reviewed each of them and can guarantee that they offer a high quality and secure gaming environment for all players. We are in the process of reviewing the state licensed options and expect to add them to our site once we've established a relationship with them and have reviewed them in their entirety. Why don't you include all of the NJ state licensed options in your guide? We are currently in the process of reviewing each of the state based options and developing a working relationship with them. Once this process is completed, the brands which meet our requirements for inclusion will be listed here. Regardless of the fact that a brand is state licensed and regulated, they must also meet our standards before being added to our guide. A state license is not a shoe in here! Must I be physically located inside of the NJ state borders in order to participate in online gambling? To participate in the state licensed options, players must be located within the state's borders and be at least 21 years of age. Sophisticated GPS technology will be able to verify a player's location, so there is no getting around this requirement. However, those players located outside of the state may opt to visit the legally licensed offshore gambling sites featured in this guide. Update May 2018: New Jersey won the SCOTUS case against the major sports leagues. As a result, PASPA was stricken down and states became able to vote in sports betting legislation. Despite being the crusading state in the fight against PASPA, New Jersey still had some legislative kinks to work out before local establishments could begin offering betting options. Delaware became the first state in the post-PASPA era to have legal regulated betting, but New Jersey came shortly after. NJ Governor Phil Murphy signed the sports betting bill into law on June 11, 2018. The bill permits NJ casinos and racetracks to accept in-person wagers. It also permits the same establishments to apply for the rights to host online and mobile betting 30 days after. The only sports not featured for wagering are collegiate sports with New Jersey teams, high school sports and eSport competitions—the rest is all fair game. Any person closely associated with a sport in a professional capacity may not bet on their own sporting category. For example, Tilman Fertitta, owner of the Houston Rockets and Golden Nugget property in Atlantic City, cannot wager on basketball. His casino property does not feature NBA lines as a result. All casinos pay 8.5% of their revenue back to the state (land-based wagers) and 13% of online/mobile bets. There is no mention of integrity fees anywhere in the NJ sports betting law. This means the NFL, NBA, NHL, MLB and NCAA will not see a dime from NJ betting revenue. Technically, online and mobile betting are still under the enforcement of the Federal Wire Act, meaning they are illegal. It will be interesting to see how New Jersey gets around this law or if it will be repealed. NJ already has experience taking down one federal sports betting law, so who is to say they can’t do it again? Here we have listed some helpful resources for players who have additional questions, require additional information, or who are in need of support for problems they experience concerning their online gambling.